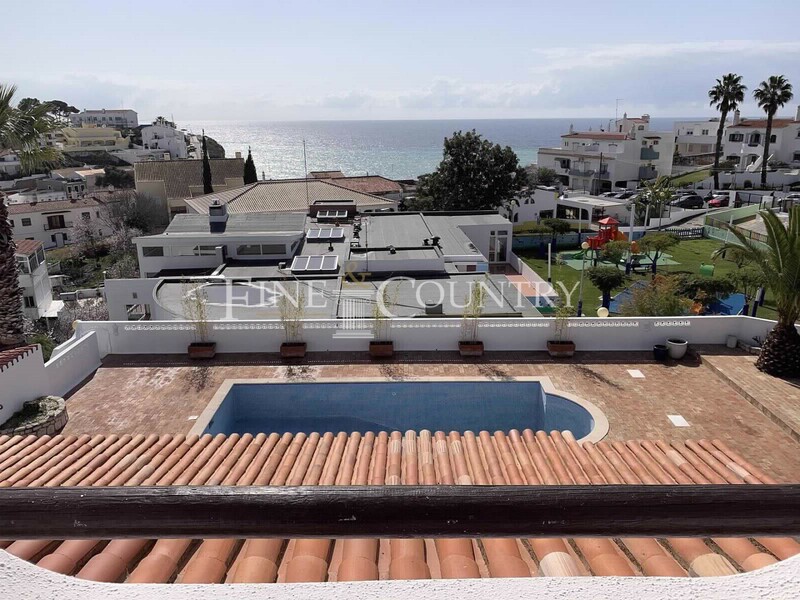 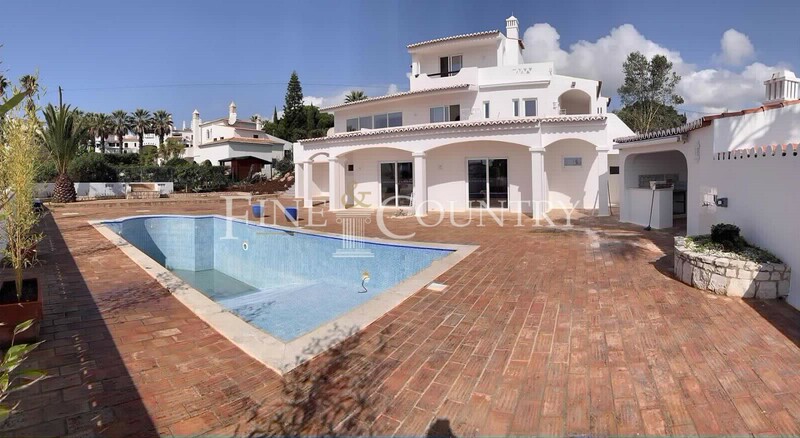 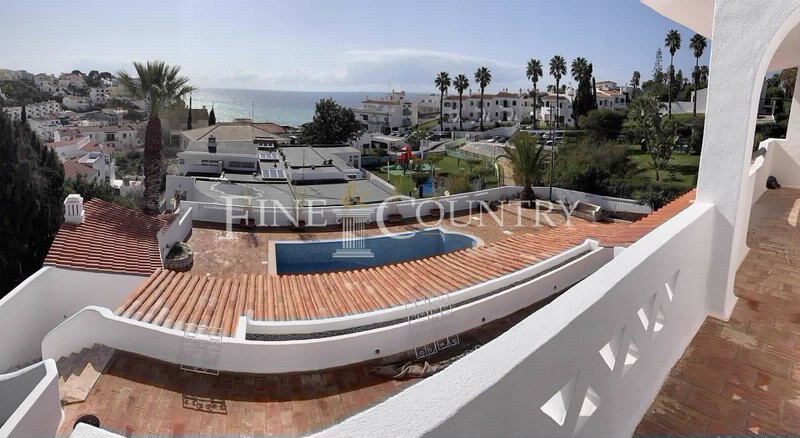 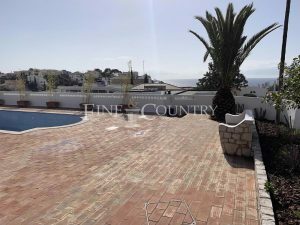 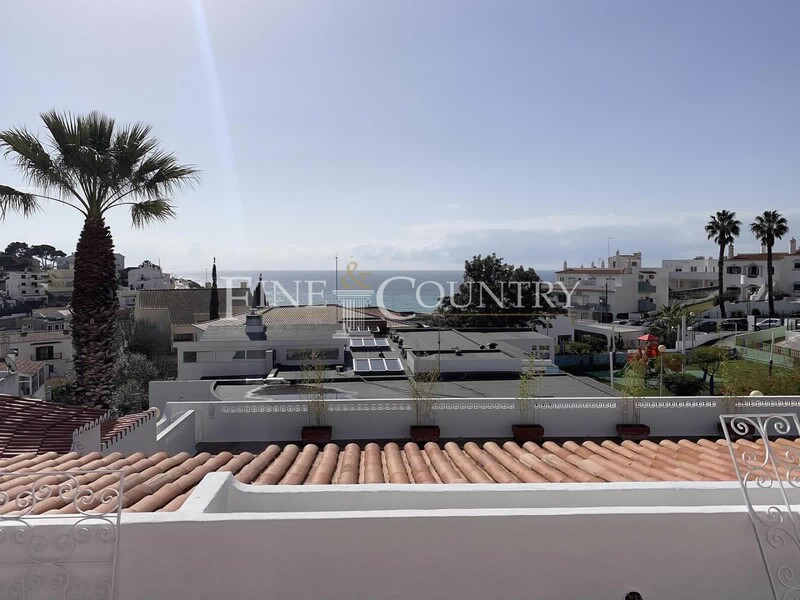 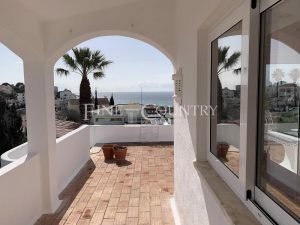 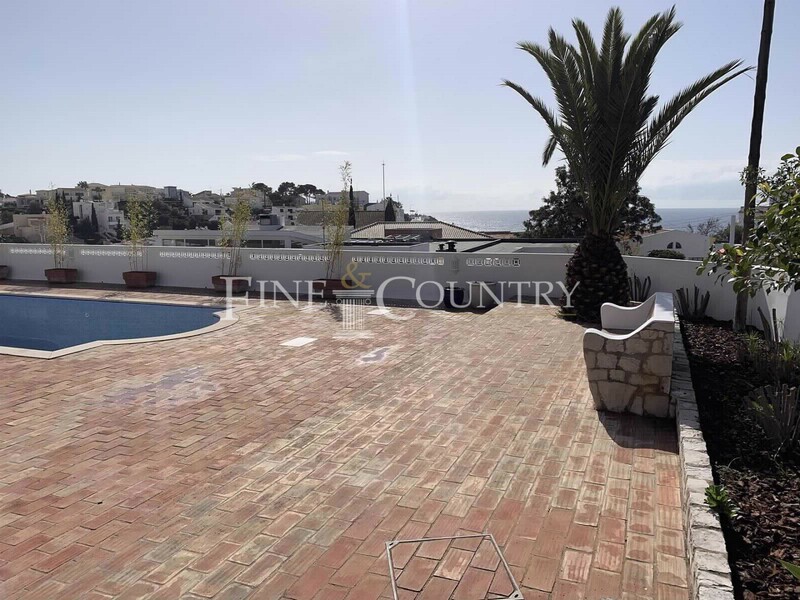 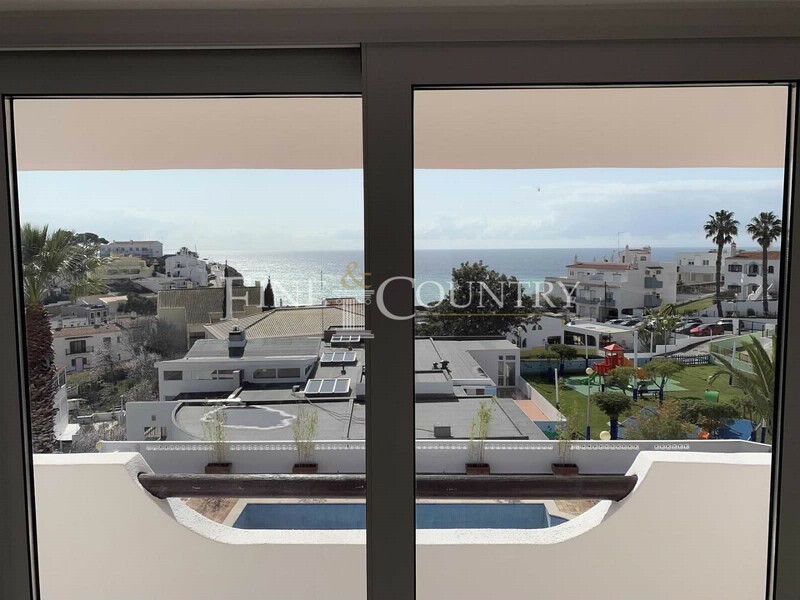 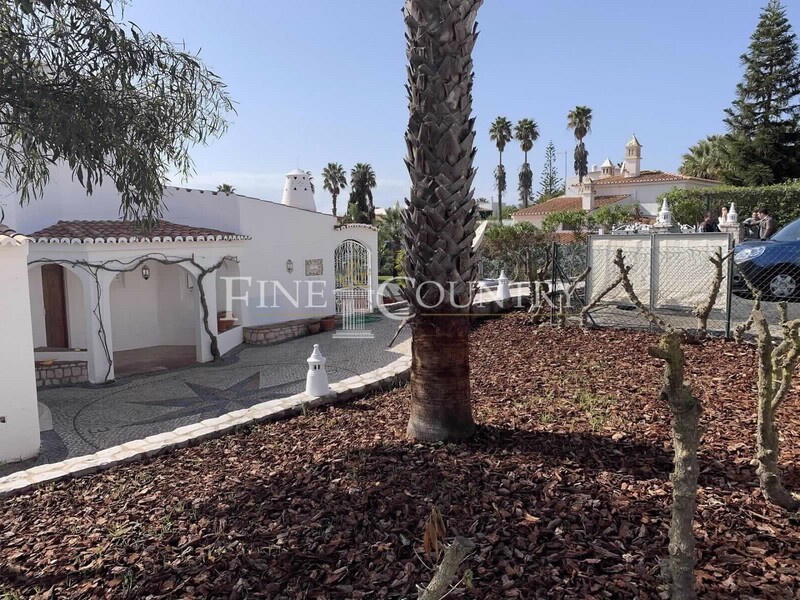 This partly refurbished and well-maintained detached 4-bedroom villa with heated pool and a built area of 427,75 m2 is set on a 1.412 m2 plot and offers sea views from all floors. 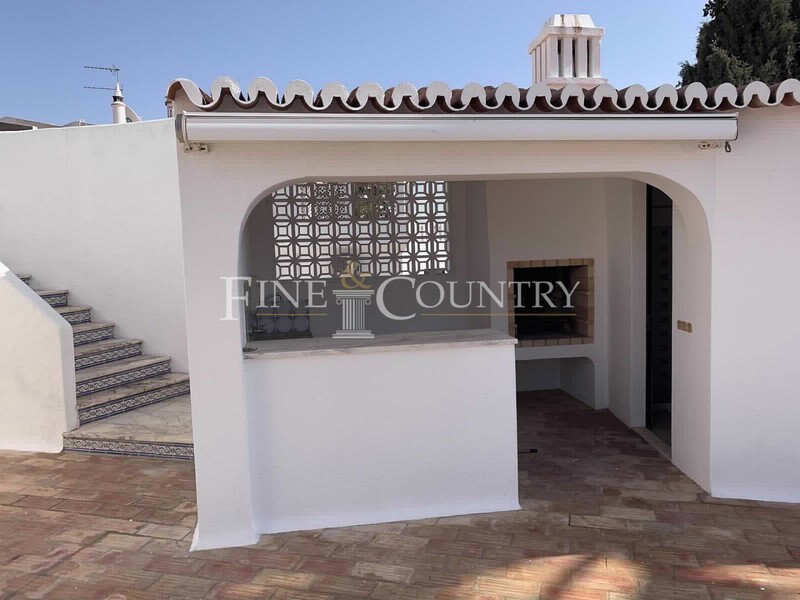 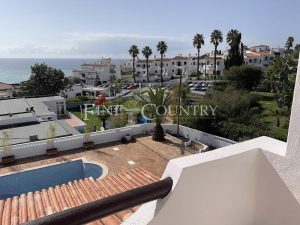 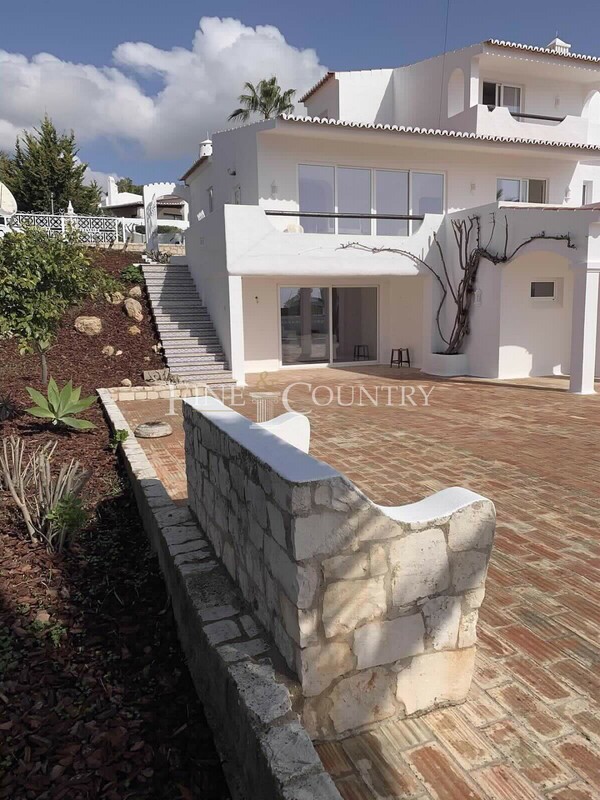 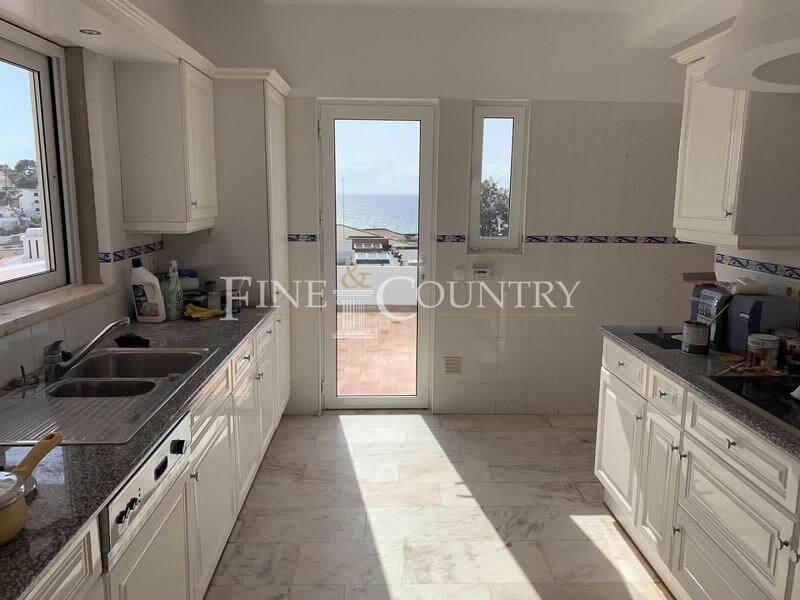 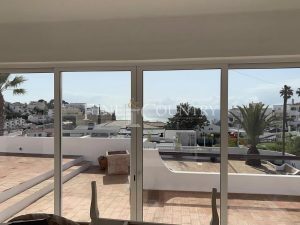 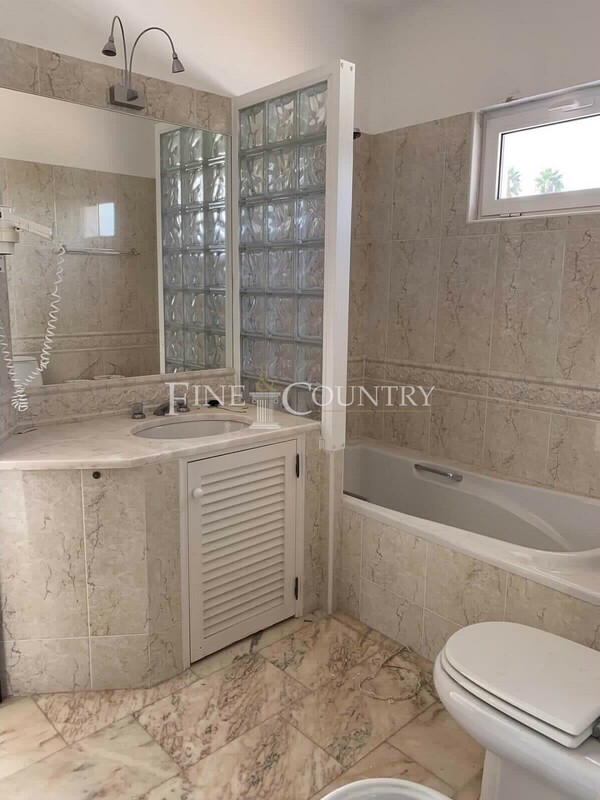 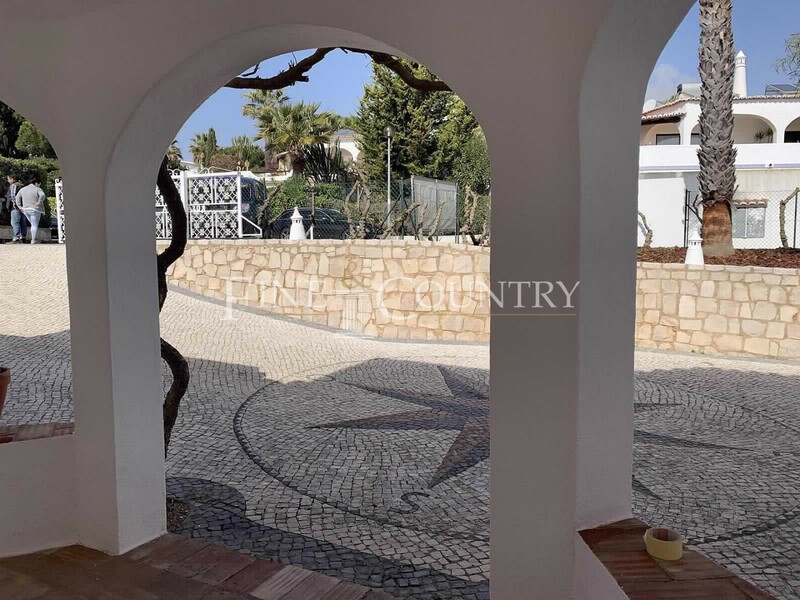 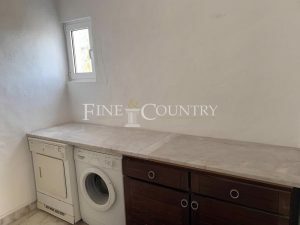 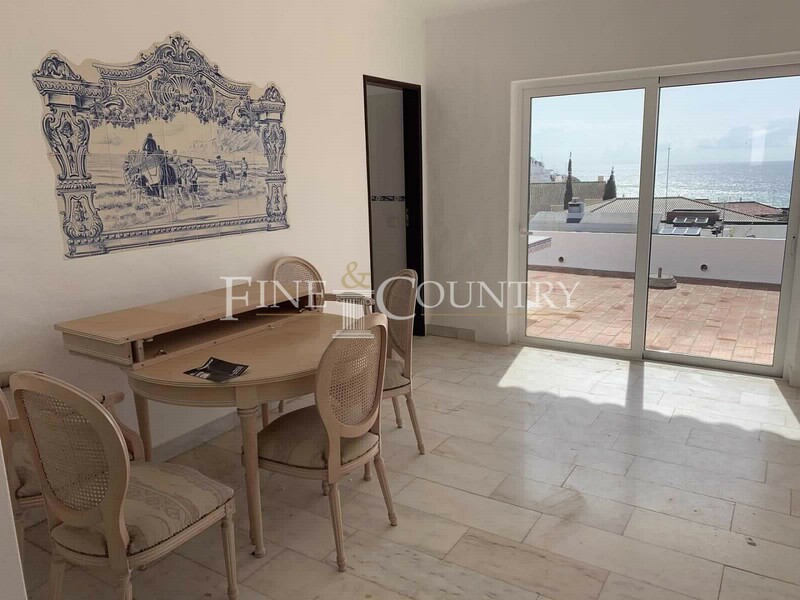 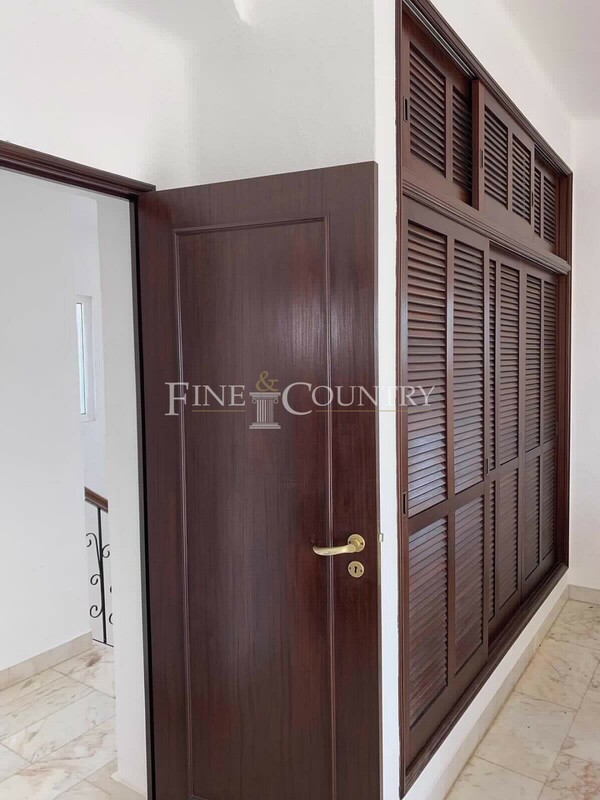 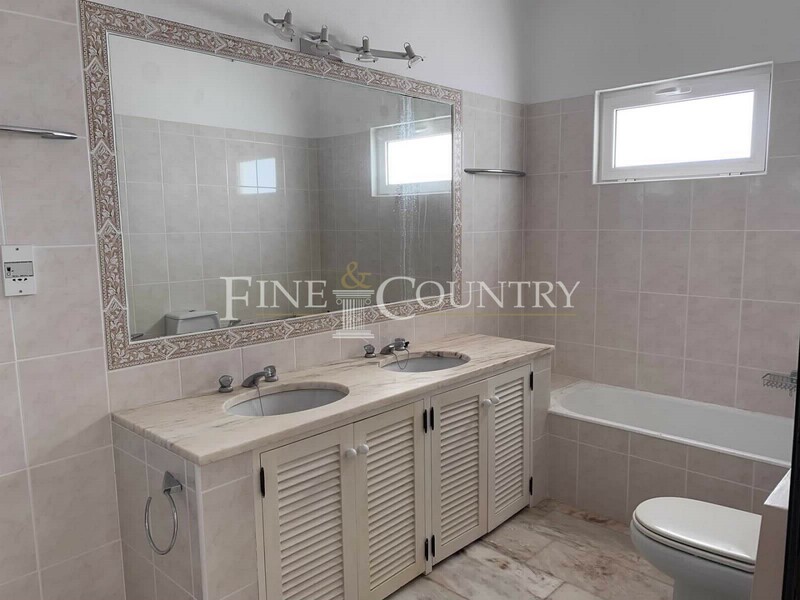 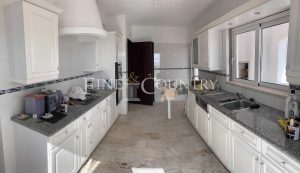 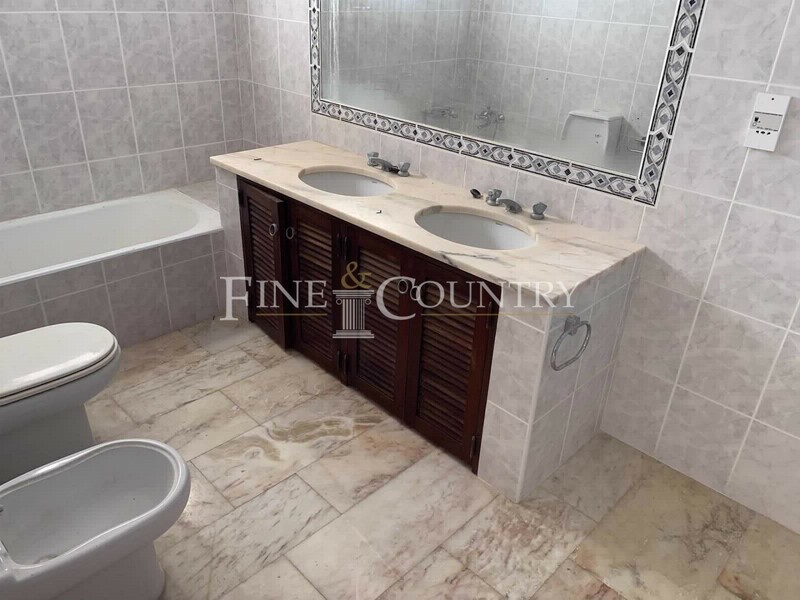 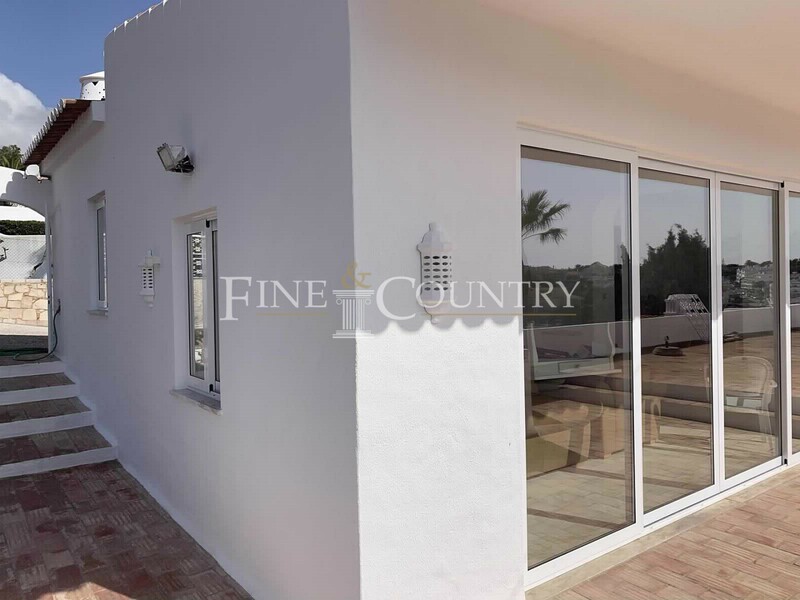 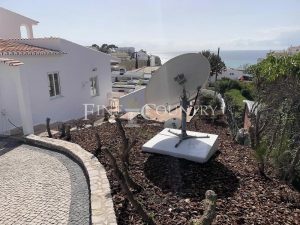 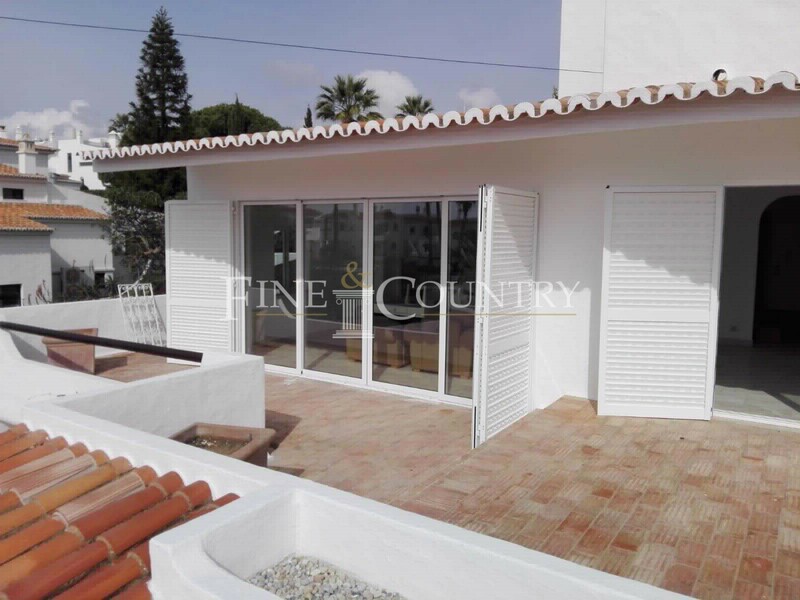 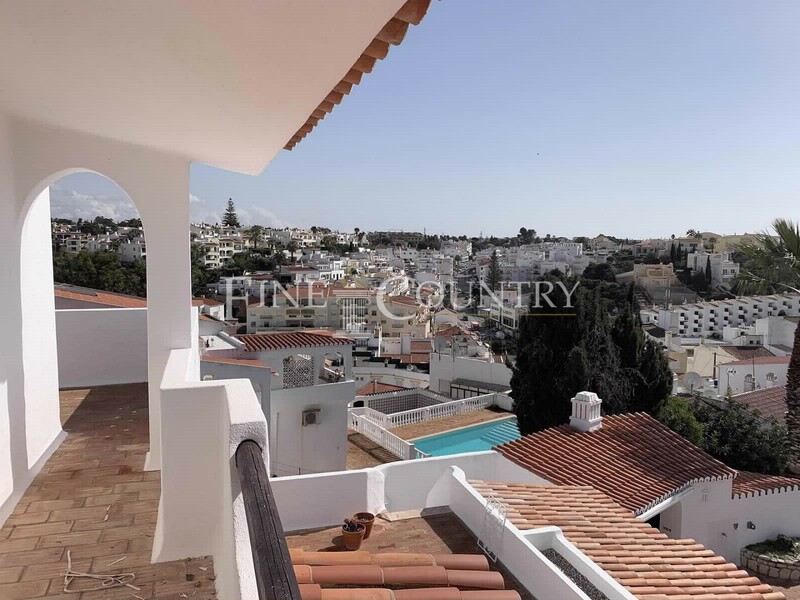 It´s located in a cul de sac in the quiet residential area of Monte Carvoeiro within an easy 5 minutes walking distance to the centre of Carvoeiro with numerous cafes, bars, shops and restaurants. Faro airport can be reached within 45 minutes by car. On the entrance level of the traditional-style three-storey villa, the entrance hall with the guest-WC/ shower bath leads directly into the spacious lounge with log burning fire, the dining area and the adjoining fully-fitted kitchen with a separate utility room providing internal access to the garage. 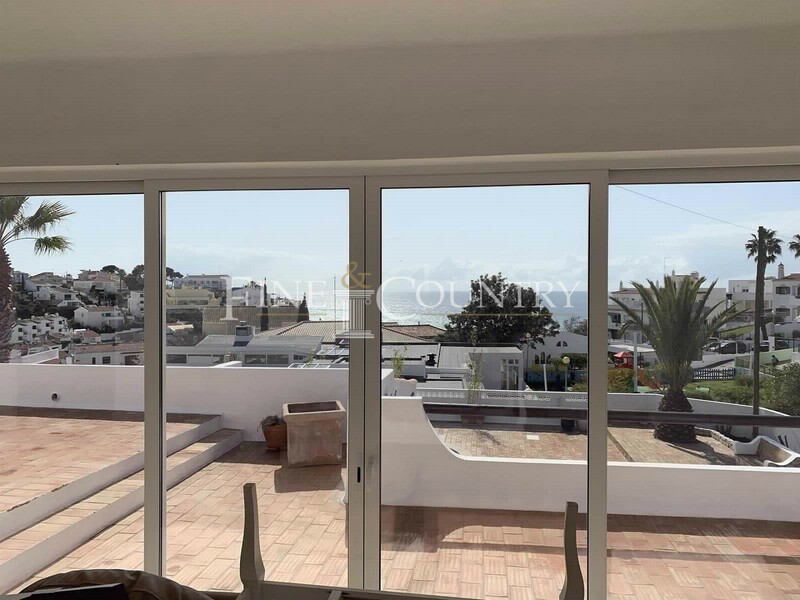 The kitchen as well as the lounge/ dining area already offer fantastic sea views and flow out onto a terrace with the outside dining area overlooking the pool. There are three generously-sized double bedrooms on the lower level, each with direct access to the pool area. The first-floor hosts the master bedroom with a private terrace. All bedrooms are en-suite and offer sea views. 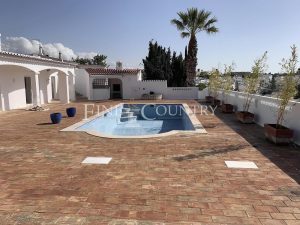 The walled pool area provides plenty of space for sun loungers and is equipped with an outdoor kitchen, outdoor WC/ shower and a storage room. 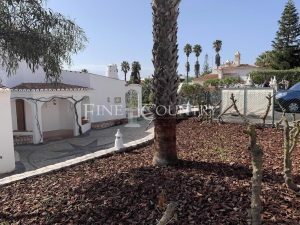 It´s surrounded by a low-maintenance garden. 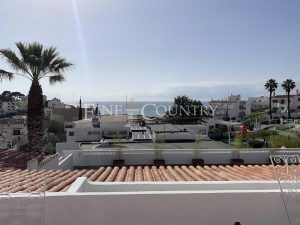 Ideal as a family home and great as an investment for rentals or even as a “Bed and Breakfast” within walking distance to the village. Further features: white double-glazed PVC-windows with sun protection glass + partly safety grids + white manual aluminium shutters, log burning fire, sockets prepared for electric wall heaters, electric storage water heater, electric hob, private retiled heated chlorine pool + pool-side shower (shower room + outdoor-WC) + outdoor kitchen + 2 x built-in BBQ (1 off the kitchen), fitted wardrobes in the bedrooms, marble + ceramic floor tiles throughout + terracotta tiles outside, outside illumination, automatic irrigation, sea views from all floors of the villa, electric awning, cobble-stoned driveway, ample outside parking, garage (internal access/ electric door), low-maintenance garden, safes in all bedrooms, satellite/ cable TV + WIFI, gas connection on-site (bottles), mains water + mains sewage, fully walled, fenced, electric gate, key safe.